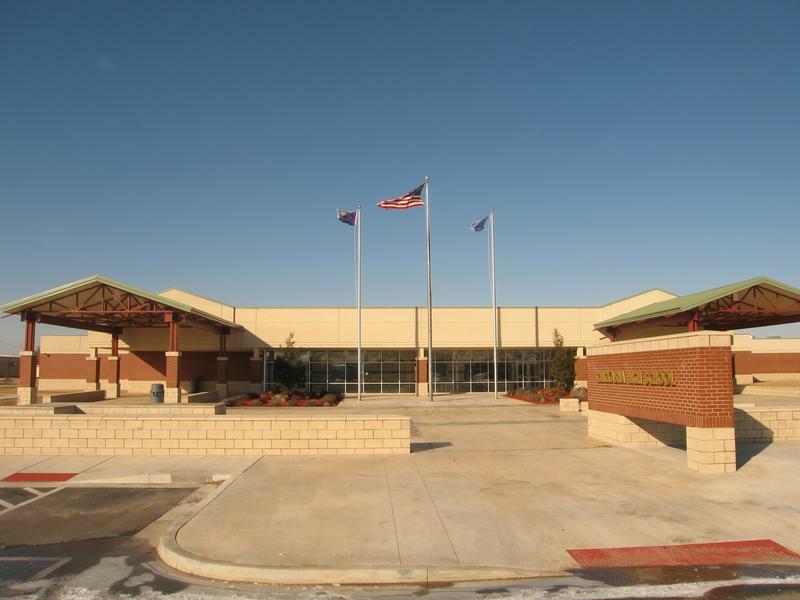 Chickasha High School is one of five K-12 schools run by Chickasha Public Schools. The state auditor's office will conduct an investigation of the district following a successful petition by local residents. The Grady County Election Board has certified a petition from residents of Chickasha, asking the state auditor and inspector to investigate the finances of the local school district. The Grady County Election Board has certified a petition asking the state auditor’s office to investigate the Chickasha Public School District. KGOU's Nomin Ujiyediin reports the petition gathered more than 12 hundred valid signatures. The board confirmed that it validated and certified the signatures of 1,223 registered voters on Friday. According to a statement from State Auditor and Inspector Gary Jones’ office, the audit is expected to begin in four to six months. The number of valid signatures received exceeded the required number of 819. The petition asks for a review of district contracts with the Oklahoma Public School Resource Center to review possible “misuse of public funds.” The organization provides training, professional development and other resources to paying members. The petition also included requests for a comparison of technology-related purchases with inventory records and a comparison of school calendar contracts with actual days worked. The school district did not respond to multiple requests for comment. Ruth Bingham, an organizer of the petition, said she and other community members were concerned about the district paying the Oklahoma Public School Resource Center for the use of the Student Personalized Learning Campus. She also cited concerns about the district continuing to pay former superintendent, David Cash, while he took a leave of absence to work for the nonprofit organization. “We were extremely upset that the school board would allow the superintendent to say, ‘Hey, I want to take a leave of absence and go work for somebody else,’” Bingham said in a phone interview. She said she wanted clarification about Cash’s work and salary. In a phone interview, Cash said he left the district in November 2017 to work for the Oklahoma Public School Resource Center. He said Chickasha Public Schools continued to pay him $2,500 a month to perform finance-related work in November and December, but he has not worked for the district or been paid since. Cash denied the allegations of nepotism, saying the district did not pay his new employer for the development of the Student Personalized Learning Campus. “We didn’t pay anybody anything to do personalized learning, so it’s something that we developed as a district,” he said. Bingham said petition supporters also wanted to review district work calendars to compare administrators’ pay with their work attendance. The petition comes on the heels of an Oklahoma State Department of Education investigation of the school district and the Student Personalized Learning Campus in August and September 2017. The state found inconsistencies in grades, attendance records, syllabi and individualized education plans for special education students. In a follow-up conducted in December, the state found the district had implemented some of the recommendations from the initial investigation, including more consistent syllabi, records and grades. The Chickasha Board of Education voted to approve a contract for an independent forensic audit of the district’s financial records on Feb. 13. In an email, Trey Davis, public information office for the state auditor’s office, said the state will conduct its audit regardless. “The Office of the State Auditor & Inspector is obligated to conduct this Special Audit on behalf of school patrons who lawfully exercised their federal First Amendment rights to seek a redress of grievances. It will be unfortunate and, no doubt, wasteful for the District to pay twice for what may essentially be the same audit,” Davis said.